Want a unique iPhone case that shows off your love for Steve Jobs? This is it, the Steve Jobs in Carbonitecase by Society6. 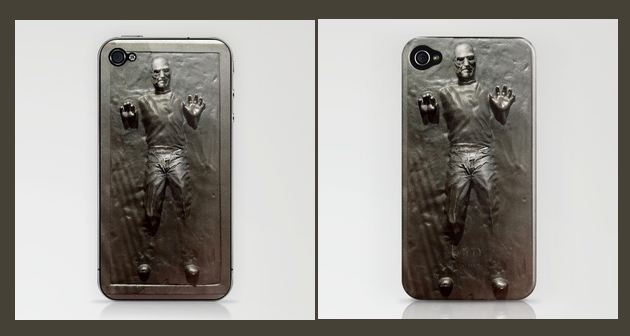 The one-piece, impact resistant, flexible plastic hard case is straight outta Star Wars. Priced at $35, it is available for the iPhone 3G/3GS and iPhone 4. If you want it, you should probably buy this soon before the inevitable lawsuit.